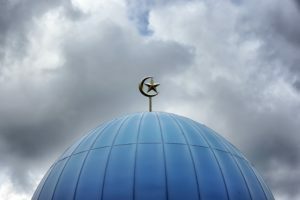 Could Islam Be a Heresy? Over the centuries, the Catholic Church has seen many of her children rebel against her with all sorts of bad ideas, blasphemies, and outright heretical statements. The list is long (too long, sadly) and includes such heresiarchs as Marcion, Arius, Pelagius, Luther, Calvin and many more. These men and their followers greatly damaged the unity of the Church, and we still see the effects in various different ways to this day. All Christians are to be one body, just as the Son and the Father are one (cf. John 17:21). Unfortunately that hasn’t been the case for centuries. How are we supposed to expect the world to believe that the Father has sent the Son if we all contradict each other? The rebel children of Holy Mother Church make for a misleading witness to the masses who have yet to come to a conversion of heart. Not all rebellions against the Catholic Church started inside the Church, but some happened outside. One in particular, which is still with us to this day, is Mohammedanism, more commonly known as Islam. This “revolt”, of sorts, greatly twisted the truths found in Christian (and even in Jewish) theology. Catholic author and historian Hilaire Belloc called Islam “the great and enduring heresy of Mohammed”. It would be good to shed light on what he means here, and what such an assertion means for us as Catholics in the twenty-first century. “the obstinate post-baptismal denial of some truth which must be believed with divine and catholic faith, or it is likewise an obstinate doubt concerning the same” (CCC 2089). This means that most Lutherans or Baptists we encounter today are not heretics. A heretic has to first be Catholic. All of their spiritual descendants never made a post-baptismal denial because, for most, they weren’t baptized Catholic! The term itself may be loaded in our easily offended modern culture, but words have meanings, and the term “heretic” has a very precise meaning as well. So how does this relate to Muslims, especially since Islam did not develop from within the Church? Belloc uses this term analogously. As seen above, Islam twists the theological truths of the Christian faith. Primarily, Islam denies that Jesus is divine; that he is God incarnate. While we as Christians understand that Christ is priest, prophet and king, Muslims only recognize Jesus as a mere prophet. Now like our Protestant brothers and sisters, those that are born into Islam are not heretics. We do still share some commonalities between our faith, namely the belief in one God, who happens to be the God of Abraham (see Dr. Edward Feser’s treatmenton this subject for a good, orthodox overview). 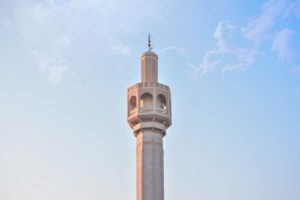 Despite our commonalities, though, there are grave errors present in the theology of Islam, and as we’ll see in a moment, these errors originated from an amalgamation of several different theologies and religious tenets, including Arianism. So while we can’t outright and precisely call Islam a “heresy”, we can still recognize it as such in an analogous way, as Islam denies that central doctrine of the Catholic Faith: that God became man so as to freely atone for our sins. We can clearly see that Islam is incomplete in the sense that it sees Jesus as only being man, and not God. But how did it come to be that Mohammed and his followers accepted part of God’s revelation, but not other parts? Islam itself has its origins in the seventh century. During the time immediately leading up to Islam’s birth, virtually all Christians were united. The Great Schism that separated the Eastern and Western Churches would not take place for another few centuries. Christians were no longer being persecuted as they had a few hundred years earlier. It was a time of relative peace. But in the year 610, Muhammad claimed to have received revelations through the archangel Gabriel, which continued until his death in 632. Living in Arabia, he was able to come in contact with a diverse number of peoples, all belonging to different religious traditions. His own wife, Khadija, had a cousin named Waraqa bin Naufal who was a Christian monk. It was Waraqa who had confirmed to Muhammed that his revelations were true, and is thought by many historians to have had been Nestorian, which was the heresy that denied Mary was the Theotokos, or Mother of God. “And [beware the Day] when Allah will say, ‘O Jesus, Son of Mary, did you say to the people, ‘Take me and my motheras deities besides Allah ?’ He will say, ‘Exalted are You! It was not for me to say that to which I have no right’”(Sura 5:116). Of course, Christians have never worshipped Mary, except for a small, heretical sect in the region of Thrace called the Collyridians. So not only did Mohammed twist Christian theological ideas, but in the Koran itself, even fundamental Christian doctrine was confused with the erroneous teachings of an extremely small sect. “[T]he particular quality of Mohammedanism, regarded as a heresy, was its vitality. Alone of all the great heresies Mohammedanism struck permanent roots, developing a life of its own, and became at last something like a new religion… Like all heresies, Mohammedanism lived by the Catholic truths which it had retained…, [yet] it has survived for other reasons than these; all the other great heresies had their truths as well as their falsehoods and vagaries, yet they have died one after the other. The Catholic Church has seen them pass, and though their evil consequences are still with us the heresies themselves are dead. Well, it looks like we are those “grandsons” in this current generation. And I think part of this “resurrection” is our fault, as many Christians in the West have completely abandoned their faith, or have become lukewarm to it. Christians, and particularly Catholics, need to be on fire for their faith and confidently proclaim the gospel wherever they are. Islam has gained many converts in the last half century, while on the other hand, we can accurately say that in the West we are “hemorrhaging” Catholics. Indeed, studies show that seventy-seven percent of converts to Islam were raised Christian. Whereas many Muslims are unashamed to profess their faith, many Catholics are manifestly ashamed to show in any way, publicly, that they are Catholic. If we want to bring others to accept Jesus Christ as Lord and God, and if we want them to embrace truth, we must be willing to live out our Lord’s commands and “make disciples”. This witness is the only way we can hope to bring any rebel children back to the loving embrace of Holy Mother Church. Nicholas is a 20-something cradle Catholic who wears many hats, (husband, father, tradesman, religious education catechist, liberal arts college graduate, et al.) and hopes to give a unique perspective on life in the Church as a millennial. His favorite saints include his patron St. Nicholas, St. Ignatius of Loyola, St. Thomas Aquinas, St. John Mary Vianney and St. Athanasius of Alexandria. He currently writes for the Diocese of Joliet's monthly magazine, "Christ Is Our Hope".